The crawlspace beneath your house is a dirt floor. It is not uncommon for this ground to be damp, especially (depending on where you live in the Bitterroot) during the spring runoff. When the ground in a crawlspace is wet, there is potential for damage to the home as well as health risks. Although Montana has a relatively dry climate, there is still potential for humidity levels beneath a home to rise to problematic levels. As moisture in the ground evaporates, the humidity in the crawlspace can increase dramatically. A moist and humid environment beneath the home can lead to some very bad situations. Damage to the structure of the home — Wood in the subfloor and floor joists can rot or warp when there is too much moisture in the air. Mold — Mold growth occurs in humid conditions. Mold spores in the air can be potentially dangerous to people in the home. Pests — Insects and rodents are attracted to damp, sheltered areas. A crawlspace full of moisture is an ideal place for rodents and insects. More insects also attract spiders. A vapor barrier is a sheet of plastic that prevents moisture from the ground beneath from evaporating into your crawlspace. The vapor barrier is secured using a combination of methods including landscaping nails, concrete glue to affix it to the concrete foundation beneath the home, and tape to seal the seams. Purity Cleaning and Restoration Services, Inc. offers vapor barrier installation in the Bitterroot Valley of Western Montana. We inspect your crawlspace to see if a vapor barrier is appropriate. During this inspection, we can also check for issues related to excessive moisture in the air. A dirt crawlspace that is dry today may not always remain that way. 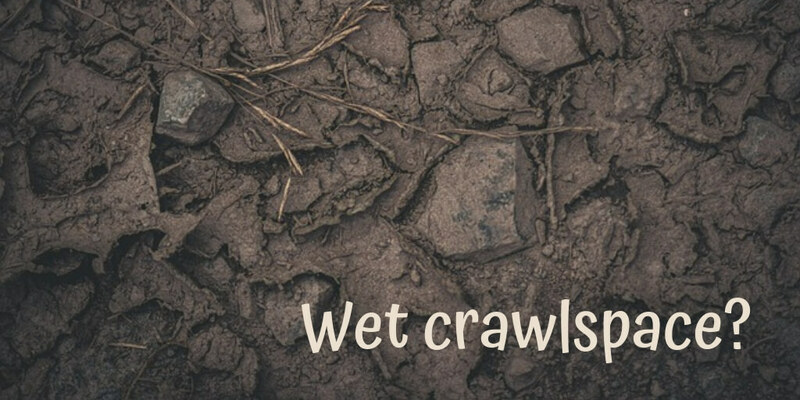 Seasonal changes and weather can drastically affect the moisture levels in your crawlspace. Installing a vapor barrier is a great proactive strategy to reduce the risk of water damage and mold in your crawlspace. A vapor barrier can prevent the need for expensive mold remediation and repairs to the home; as the quote goes: “An ounce of prevention is worth a pound of cure”!